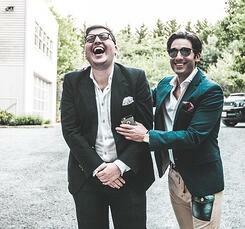 Daniel Rubinshtein isn't your typical dentist. This one has a strong presence on social media and is something of an Internet celebrity. 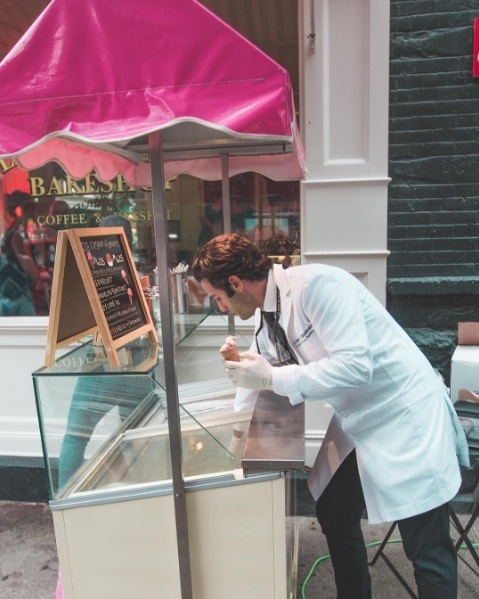 His accounts feature Vines where he slo-mo walks around Manhattan while casually chatting away on his phone, complete with the hashtags #dentist and #modeling. You can also find photos of "Dr. Snapchat" lounging around poolside at tropical resorts and a clip of Kanye West’s Yeezy Season 3 show that was held at Madison Square Garden. "People don't typically decide on a dentist based on the glamor surrounding their vacations or photos of them sporting a Yeezy sweatshirt. Dr. Rubinshtein hopes to change that." He's not the first medical professional who has attempted to build a social media brand for his business. 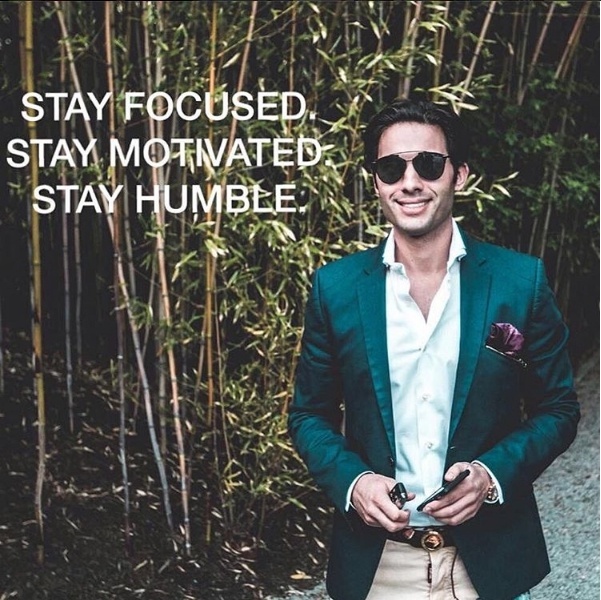 A plastic surgeon named Michael Salzhauer, better known across the Internet as "Dr. Miami," has become known for webcasting the surgical procedures he performs on his Snapchat account. His has more of a Nip/Tuck feel to it rather than the educational Q&As on Rubinshtein's, but the goal behind both accounts is much the same. By keeping themselves open and available to their patients and followers, they essentially let anyone who owns a smartphone take a glimpse into their offices. They give people a look at what it would be like to be a patient at their practice. Regardless of exactly how they do it, the "why" is more of a marketing move than anything else. Social media is a powerful way to reach a large number of prospective patients, and these doctors are using that potential to share their brands online. The videos and pictures are fun to look at, and they could catch the attention of someone looking for a healthcare provider. Additionally, Rubinshtein's strategy carries with it a certain kindness. Many people have had bad experiences at the dentist's office and get scared at the idea of having to pay them a visit. The environment alone is enough to make some of them uncomfortable, so they may prefer being able to talk to the doctor over Snapchat from the comfort of their home. 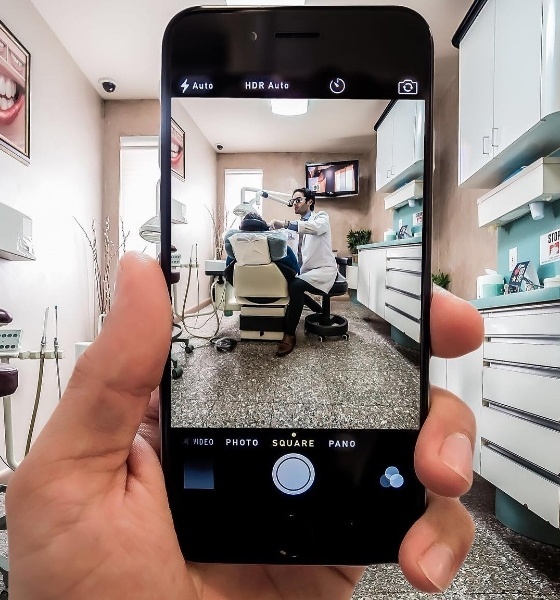 Rubinshtein feels that social media platforms like Vine and Snapchat can help some people get over their fears of going to the dentist. While it's generally the better option to speak face to face, he uses his Snapchat Q&A sessions as an outlet for those who don't feel ready to take that first step. Of course, the platform is littered with wacky filters and trolls, so it's tough to discern which of the questions he receives are genuine. Most of them probably are, but it really doesn't matter much. Even blatantly obvious trollish inquiries are given a sincere and empathetic response. Much of the posts and information that make it onto social media are cynical and dry, and many comments are made for the sake of a mere joke or to jump-start an argument on social issues. Conversely, Dr. Rubinshtien's Internet accounts are a nice break from all the negativity. He insists that his method of branding his business is meant to serve as a way for people to get the medical help they need - but it's hard to deny that he clearly enjoys having a little fun with it. Granted, some of his jokes are eye-roll worthy and maybe a bit unbecoming ("Netflix and drill," anyone?). Rubinshtein is the first to admit that it's tricky to determine where to draw that line between humor and formality. Even so, by having an active and appealing social media presence, his main goal is always to prove to patients that he's just as human as they are and that he understands their fears and concerns. 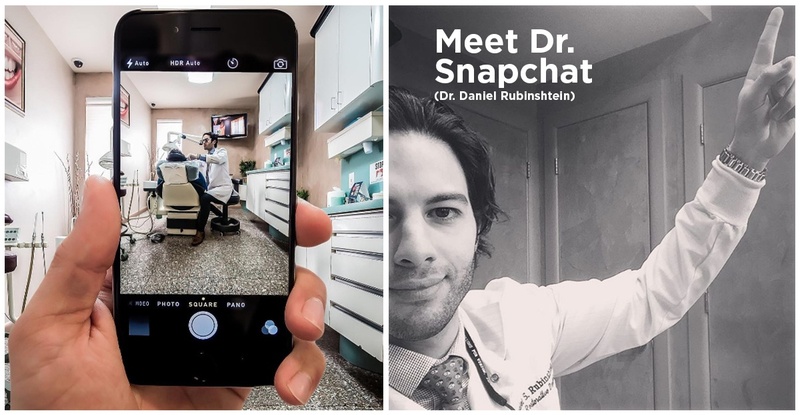 You can find Dr. Rubinshtein here: http://drrubinshtein.com/ Besides Snapchat, there are numerous other ways to market your dental practice. For more information, subscribe to our blog.